The Third Annual Donn’s Dash 5K will take place on Saturday, June 10th, 2017, in Wilkes-Barre, Pennsylvania! 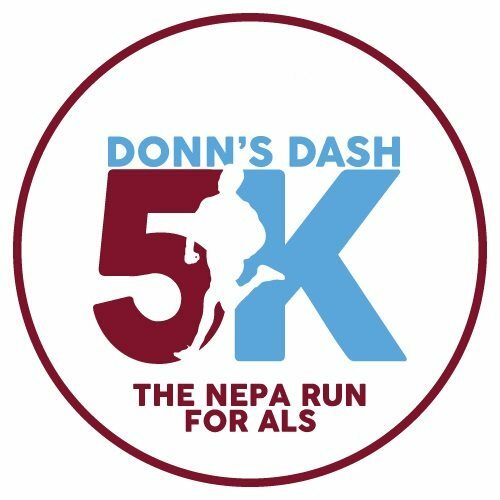 Donn’s Dash 5K is being held to bring awareness to ALS, a neurodegenerative disease, and to raise money for The ALS Association. The run will be in memory of Donn Schmidt, who passed away from ALS on May 11, 2009 after a difficult 5 year battle. All proceeds from this event will benefit the ALS Association’s mission to lead the fight to cure and treat ALS and to continue to provide ALS patients and their families with compassionate care and support. Donn’s Dash has raised over $20K for the cause and the Team couldn’t be more excited for another successful year!